POSITION. As architects, landscape architects and interior designers, there is an inherent distance between the product of our daily work (drawings and representations) and the eventual product produced from our work (buildings and spaces). Put simply, we don’t build airports and parks, we draw them. We represent for a living. Accordingly, we must intensely consider the most effective ways to produce our product; to see all that drawings can do, from construction documents to conceptual renderings and parti diagrams to program matrices. The example below shows the process HAA used to apply this realization beyond the design of buildings and spaces to the analysis and demonstration of data. QUESTIONS. What is the most effective method for presenting the analysis of statistical information to a variety of audiences? Should different methodologies be employed to analyze qualitative versus quantitative information? Can the use of multiple methodologies result in a cohesive, comprehensive presentation with clear direction? The Woodward Avenue Action Association provided Hamilton Anderson an opportunity to investigate these questions using Woodward Avenue as a laboratory. BACKGROUND. 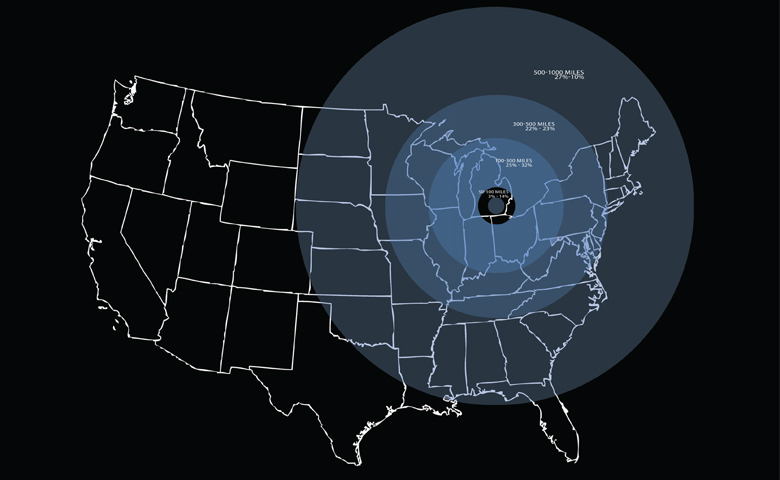 Woodward Avenue is Michigan’s “main street” and thread of economic vitality in the southeastern part of the state. It is home to more than 300 historic sites, 150 annual events, 55 major attractions and contains the world’s first mile of concrete highway. Beyond Detroit and the other 10 municipalities it intersects, Woodward’s iconic status as a roadway and destination is understood regionally and nationally. The Woodward Corridor was designated as an Automobile National Heritage Area in 1998, a Michigan Heritage Route in 1999, and in 2002 the National Scenic Byways Program included Woodward Avenue (M1) in its exclusive list of America’s Byways®: 125 distinct and diverse roads with special designation by the U.S. Secretary of Transportation based on archaeological, cultural, historic, natural, recreational, or scenic qualities. PROJECT. The Woodward Avenue Action Association (WA3) commissioned Hamilton Anderson to study the need and requirements of a combined office and Welcome Center for The WA3, ongoing Byway operations and Woodward Avenue visitors. The Comprehensive Woodward Avenue Welcome Center Needs Assessment and Visitor Demands Analysis seeks to guide overall programming, performance and site requirements for such a building. 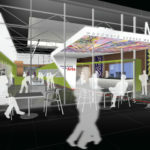 During its life, the Needs Assessment’s findings will be presented to multiple audiences, constituents and stakeholders with potential interest in the Welcome Center project. 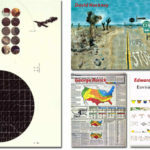 Because of these multiple audiences and various research-based data including, primary research as well as national and local resources, HAA ultimately developed a strategy for the qualitative and quantitative analysis which included referencing the cross-disciplinary methodologies of effective visual communication through information design. Using these methodologies, the audiences will find noteworthy information to help inform specific understanding and actions, while also providing broad analysis for common interests. STRATEGY. 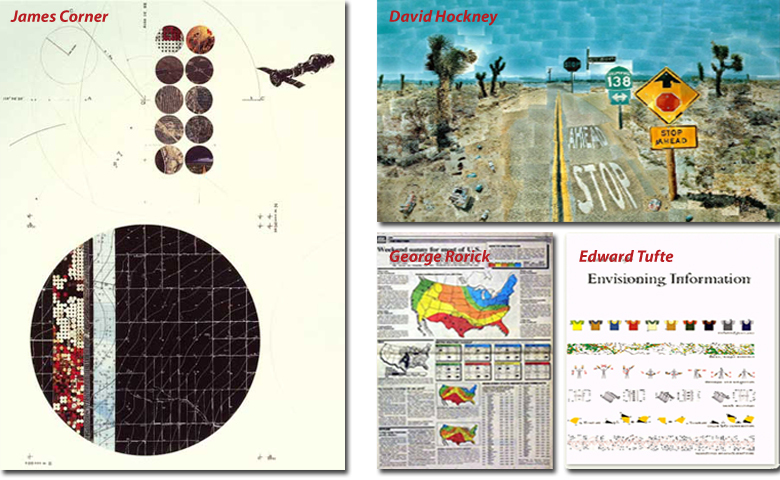 We referenced Edward Tufte’s visual analyses, the mappings of James Corner and George Rorick and the spatial impressions of David Hockney’s joiners. Each professional designer and artist provided inspiration and objective. 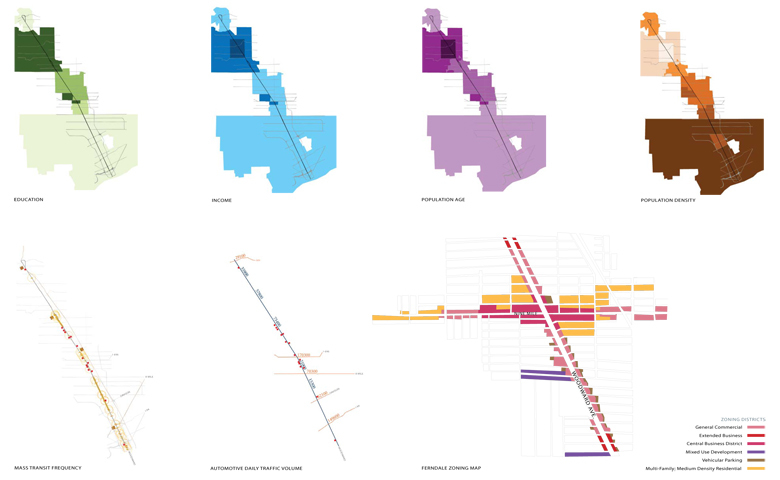 As precedents for process and outcome, their work challenged our specific rigorous investigations to result in the opportunity to understand non-linear data visually. By reducing the goals of the Needs Assessment to its basic elements, we identified 2 main topics, each investigated with a multi-faceted approach. 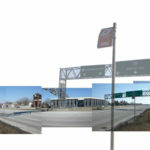 Topic One aims to identify the site requirements and potential locations for the Welcome Center along Woodward Avenue. 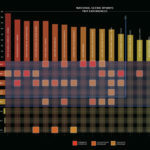 4 different studies produced 4 different graphic demonstrations of data. 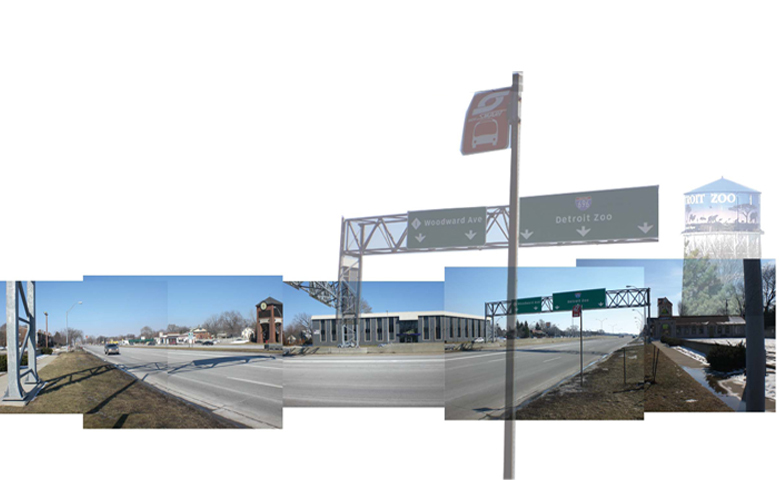 Image B demonstrates the context of Woodward Avenue. 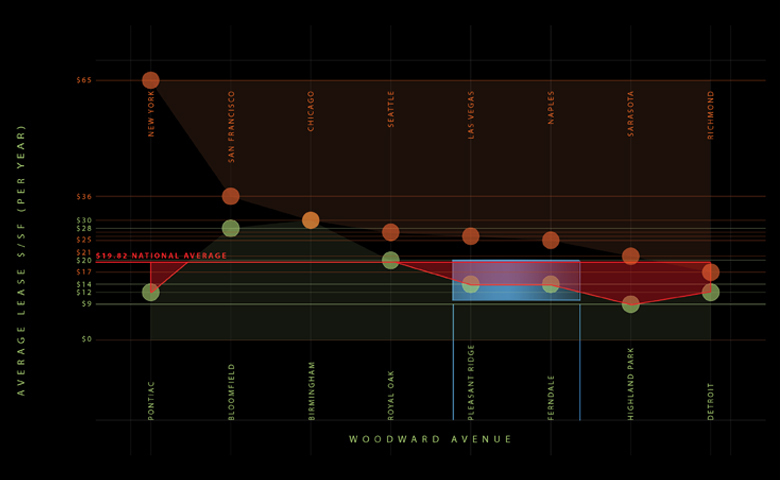 The supporting maps include Woodward’s numerous events and landmarks; socio-economic and demographic characteristics of the 11 municipalities that intersect it; and its importance as a major North/South roadway. Another significant aspect of Woodward’s context is its range of experiential identities. 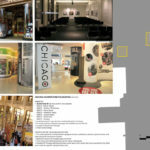 A photo analysis seeks the phenomenal quality and visual identity of each municipality at or from Woodward as seen in image C. In image D national metropolitan rental rates were compared to those along Woodward Avenue to support a financially realistic, appropriate location for the Welcome Center. Topic Two defines a Welcome Center program and potential visitor amenities through 2 studies using primary and secondary sources of data. To understand the successful attributes of completed Welcome Centers, a comparative analysis of existing facilities provides a clear, accessible and graphic catalogue of over 20 case-studies. This analysis included project information such as total program area and organization, building description highlighting functional parameters and purpose, transportation, context and associated attractions. 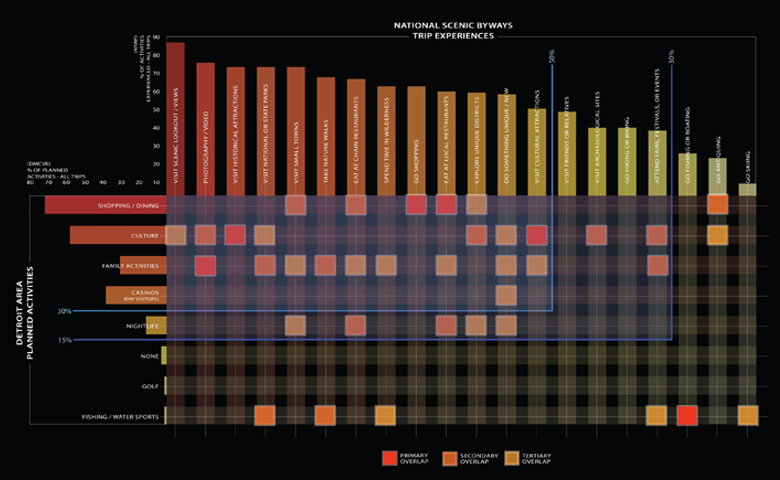 Examples of these analyses can be seen in image E. The analysis of visitor demand information provided by the Detroit Metro Convention and Visitors Bureau (DMCVB) and the National Scenic Byways Program (NSBP) is intended to ensure that the interests and priorities of visitors shape the uses, amenities and services provided by the Welcome Center. By looking at both metro Detroit visitor information as well as national visitor information, the objective of this study is to establish a broader, more comprehensive understanding of the necessary Welcome Center program. Much of these data can be understood graphically in image F.
CONCLUSION. 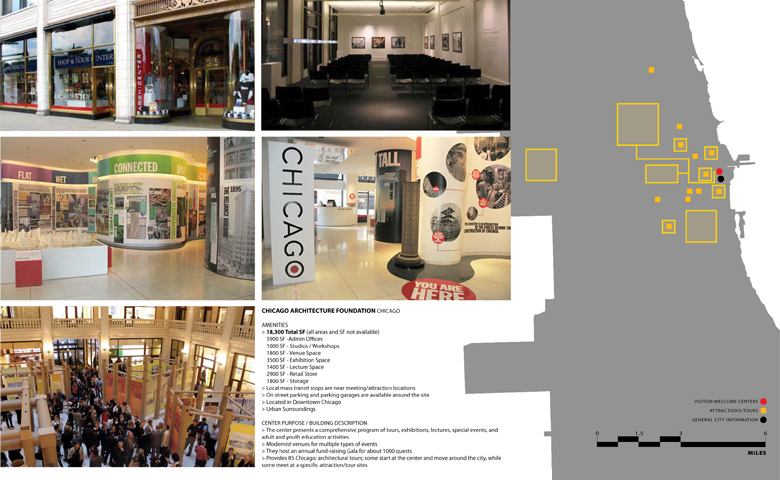 While working with The WA3 to assess the need and visitor demands for a new Woodward Avenue Welcome Center, HAA developed a series of graphic analyses which ultimately demonstrate important criteria for establishing its program, amenities and location. 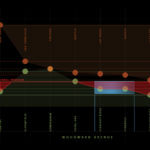 Given these criteria, HAA also transformed the program into conceptual renderings to further aid in translating now visual data into potential built form. 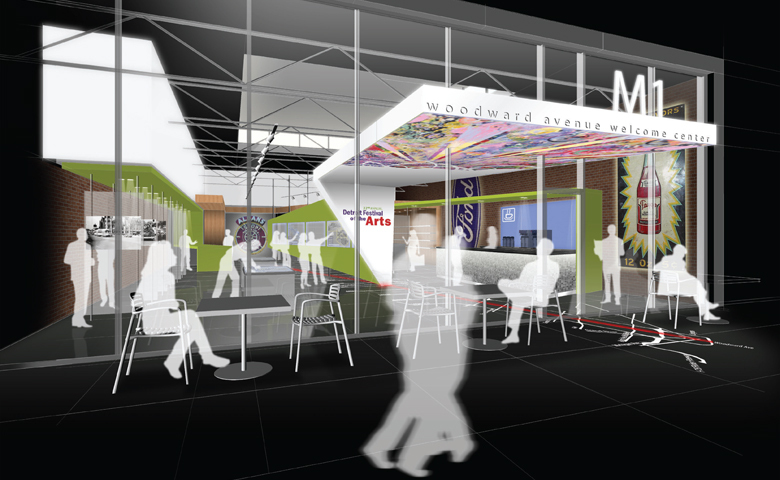 Image G represents the concept of what the Woodward Avenue Welcome Center could become. EPILOGUE. We are pleased to announce that The WA3 is currently working with The Greening of Detroit and WARM Training Center to adaptively reuse the abandoned American Beauty Electric Iron building on Woodward Avenue in Detroit’s New Center area. The WA3 hopes to occupy part of this facility for its Welcome Center.